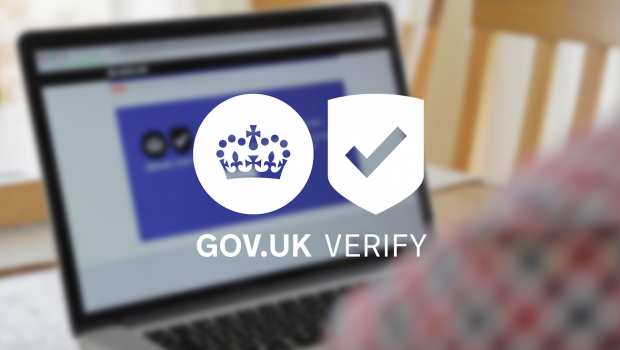 With GOV.UK Verify now live, we’re working harder than ever to continue to improve and expand the service based on user feedback, analytics and further user research. We’re also looking at how a safer, more straightforward way to prove your identity online can be used beyond central government. This blog post - which is my first as GOV.UK Verify’s Interim Director - will give you an update on our most recent progress and set out some of our priorities for the next 3 months. We passed the 800,000 verified identities mark this month and 77.5% of users are either 'satisfied' or 'very satisfied' with the service. Our verification rate is on the increase and is now at 71% with the average completion rate also growing to 36% (though this varies very significantly across different services). The completion rate for brand new users has improved by 17% since we moved from beta to live. More information about GOV.UK Verify's performance can be found on our service dashboard. GOV.UK Verify going live was only the first chapter and we have a range of priorities that we’ll be working on over the next 3 months and beyond. GOV.UK Verify is in a position where it’s ready and able to accommodate all the services that need to adopt it in central government and devolved services in Wales and Northern Ireland. We’re also working with some of the services that are already using GOV.UK Verify to continue to meet the needs of their specific users and continue improve completion rates. A great example of that is DWP’s Universal Credit service, where we’ve been researching improvements to the user journey and testing those with users in job centres. More on that soon. GOV.UK Verify represents government-backed identity assurance capability, working at scale, that respects privacy and is developed to published standards. The Government is committed to maximum possible re-use of GOV.UK Verify across the public sector and beyond. We're looking at the viability of offering GOV.UK Verify at scale to other public bodies (for example, the NHS and local authorities) as well as the private sector. We're planning to conduct a series of discovery projects with local authorities looking at how we might extend GOV.UK Verify in this area. You can follow our progress on the Local Digital Coalition website or read some of our recent blog posts. In autumn we’ll be announcing which services we’ll be trialling with GOV.UK Verify. We want to ensure that as GOV.UK Verify matures it continues to meet both user expectations and service providers’ privacy obligations. We’re building a programme of work to lead the team through compliance, quality and maturity of privacy delivery within GDS and across the certified companies and other organisations associated with GOV.UK Verify. Our Privacy Officer is responsible for managing the privacy dialogue between GOV.UK Verify’s users, the GOV.UK Verify delivery team, certified companies, and the departments with services using GOV.UK Verify. She’ll be publishing more information about our approach to privacy next month. Next up we’ll be focusing on two main areas. We will improve our release process so we can put out new versions of the software more quickly and more reliably. This will allow us to respond to changing requirements more easily and free up our developers to focus on meeting user needs. We’re going to continue our work in this area as a priority because, by iterating regularly and successfully, we’re showing that we can continuously improve GOV.UK Verify and bring real benefits to users and service providers. If you’d like to keep up to date with the latest developments for GOV.UK Verify, subscribe to the blog.